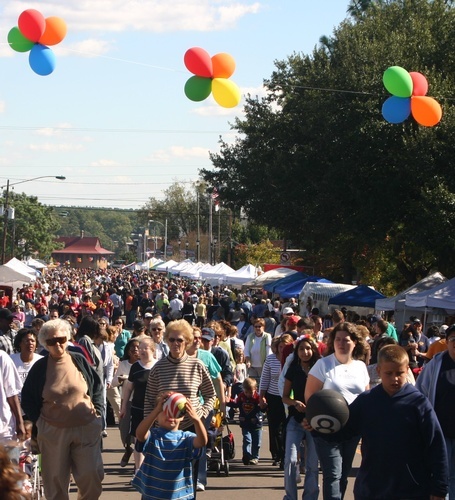 The county's largest celebration is the Annual Seaboard Festival . The festival which celebrates Hamlet's heritage as a railroad town, is held on the last Saturday in October. The festival began in 1982, as a display railroad memorabilia on Main Street, sponsored by the Richmond Technical College as part of a study on Railroad History and Its Impact on Southern Culture. It's popularity prompted a group of civic minded citizens to make it an annual event. Today this group of citizens who operate under the Charter of the Seaboard Festival Day Board, Inc is involved in many of the activities of the city.